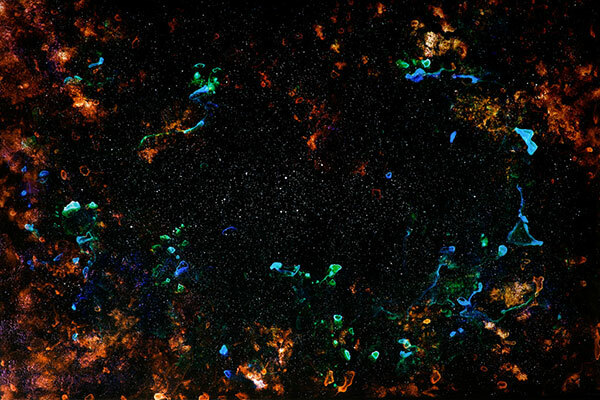 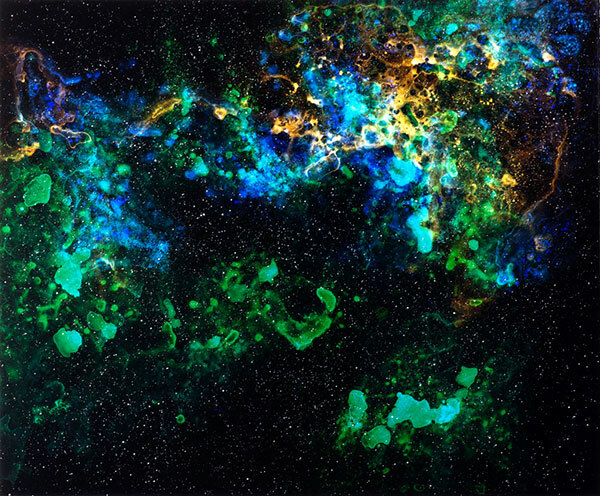 What looks like photos of a star-filled night sky are actually chromogenic photograms created in the darkroom by Oakland artist Vanessa Marsh. 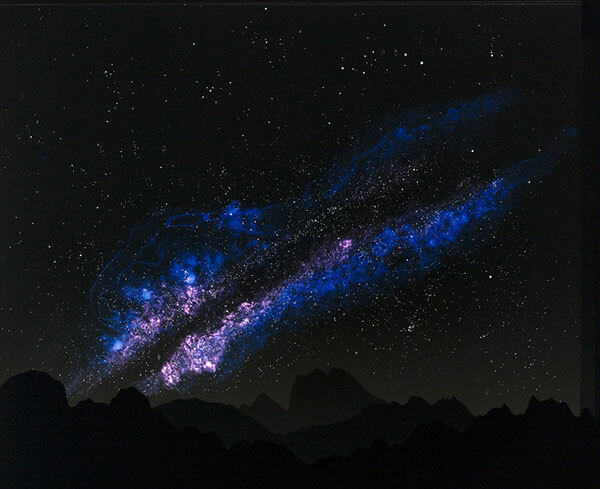 The fabricated images are an imaginary construction of distant galaxies composed of multiple layers using paint, paper, and light. 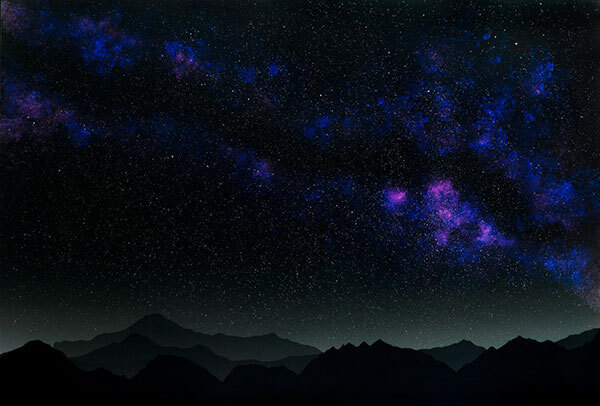 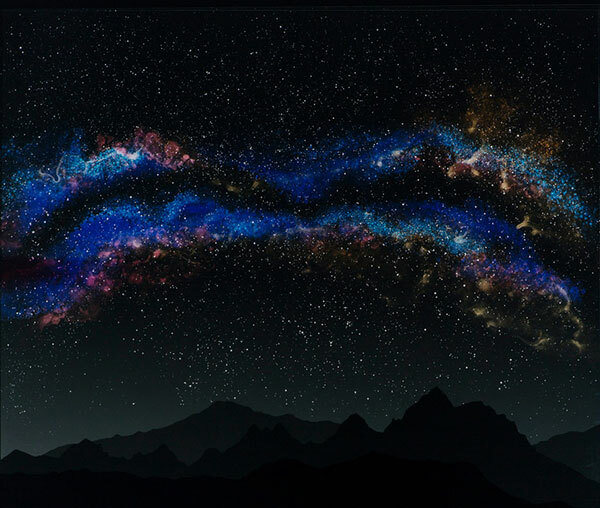 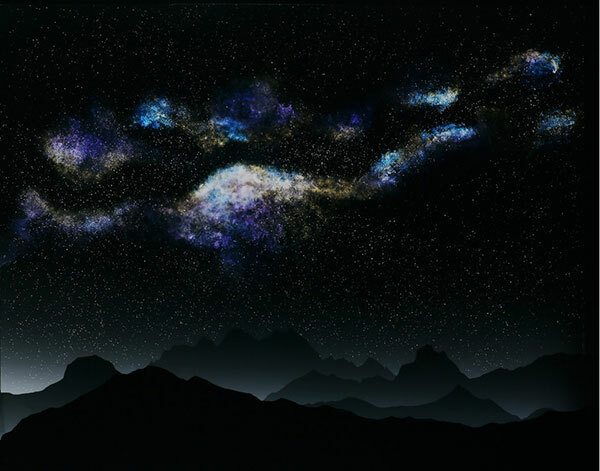 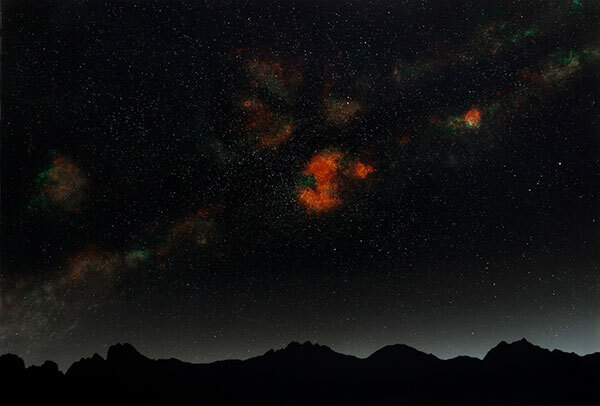 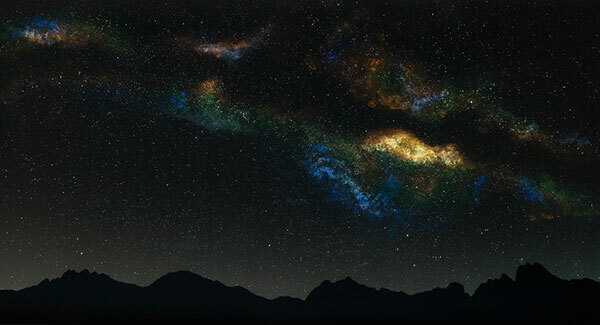 The stars are painted using transparent inks and acrylics on clear mylar, which acts as a photographic negative, while the mountains are stencils cut from paper. 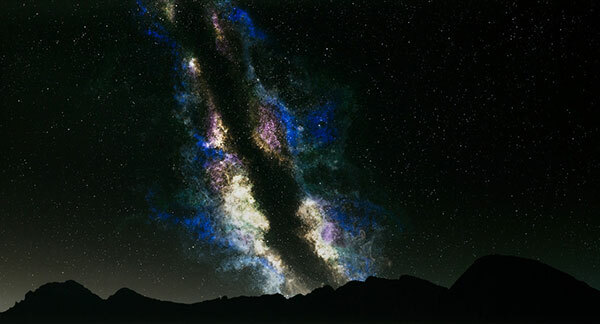 The different shapes and colors are exposed directly onto photographic paper resulting in images of distant galaxies above black mountains.